use paint. Painting proved tricky. Painting might have been tricky but you certainly nailed it, well done! The paint surface not as perfect (smooth) as the factory job. I have a feeling Sideshow used decals for the production piece. 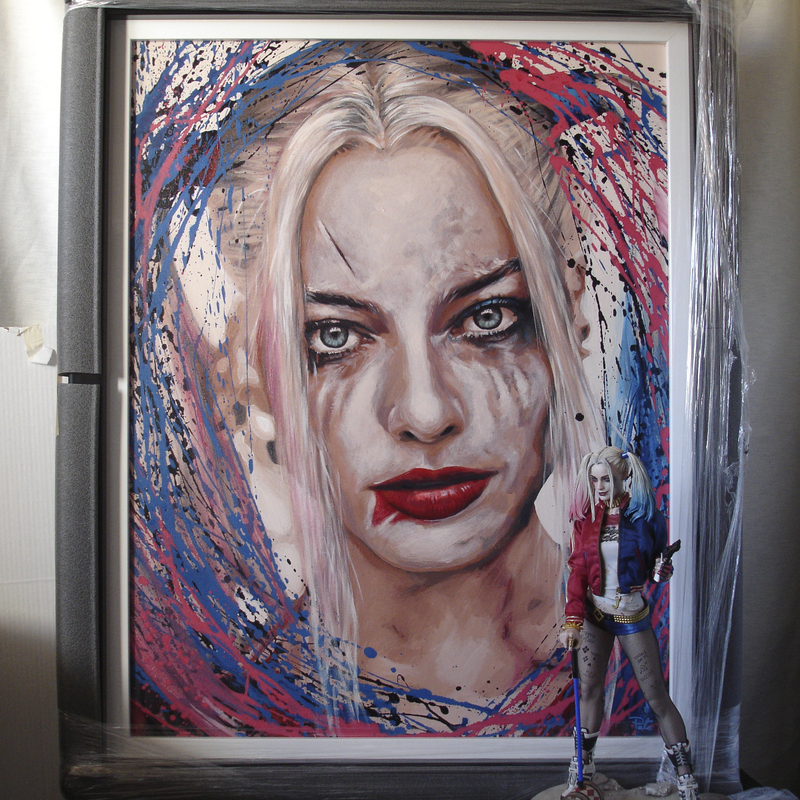 Having owned this piece for a number of weeks, and slowly liking it more and more, especially after re painting the eye's, it struck me, i think her nose is what could be throwing the Margot Robbie likeness out slightly. It appears to be the correct shape, just slightly over-sized. stars, and many appear to have been snapped up by buyers. have to say, in person, the piece looks stunning! the Prime 1 Harley Quinn 1/3 scale statue. That’s all in the not too distant future. Today I decided to take some shots using the Sideshow Harley Quinn ¼ scale piece as size reference.